January was a great month for speakers at the House. 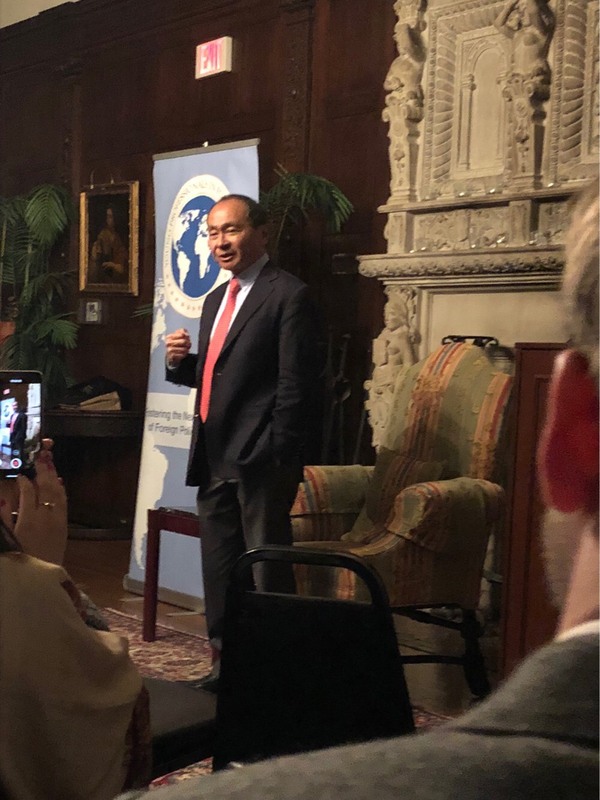 The evening of Thursday, January 10, Dr. Francis Fukuyama was a guest speaker at the House, hosted by Young Professionals in Foreign Policy (YPFP). 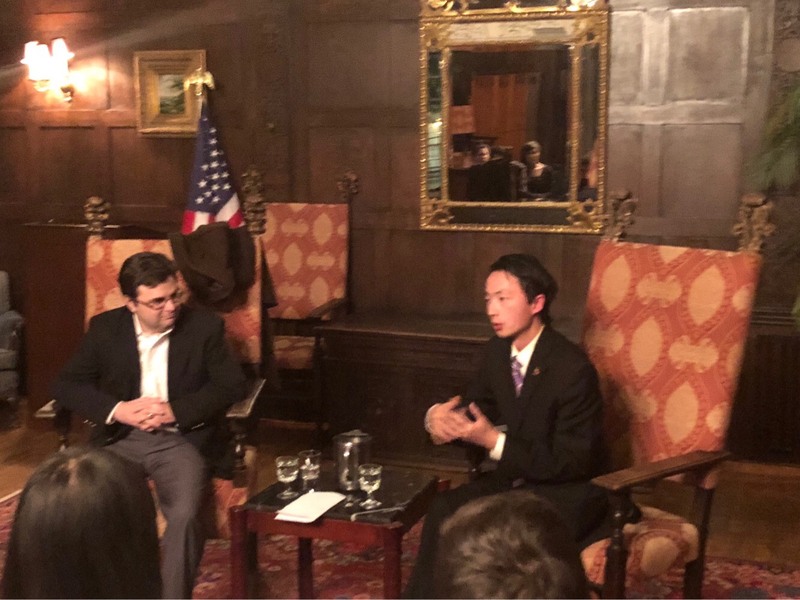 The evening was a part of YPFP’s author series, highlighting Dr. Fukuyama’s new book, “Identity: The Demand for Dignity and the Politics of Resentment”. The following Thursday, Ricardo Zuniga, Director, International Student Management, National Defense University, U.S. Department of State, joined us at the House. Both speakers exemplified how to use humor to bring their stories to life. Dr. Fukuyama discussed how national identity changes over time and when “we the people” can not define “the people”, what feels like an identity crisis can ensue. America politically views people by different grouping. This can come from race, religion, or gender. He mentioned the #MeToo movement and how this brought together those under the female identity. 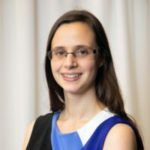 MeToo says I am female and I will not adapt to societal pressures, but society will have to adapt to see me as female and as an equal. The internal identity is the driving force. He also discussed how being able to define “we the people” can help a country develop positively. As immigration occurs, if both old and new members of a community assimilate and adapt to changes, there can be many benefits. There is so much more art and culture to be developed if all creeds have the ability to throw their hat in the ring and develop new styles of music or dance. Dr. Fukuyama argues that assimilation is a two-way street, old members of a community have to accept the new individuals, and new individuals have to try to understand the current culture and climate to live harmoniously. Everyone can learn something from someone else. He ended his fireside chat with a book signing. Our second special guest was Ricardo Zuniga, former Consul General in Sao Paulo, Brazil, U.S. Department of State, and former Special Assistant to the President, National Security Council, The White House. Mr. Zuniga shared his wisdom from a career in Foreign Service and time spent working with President Obama. While in The White House, he was the Senior Director for Western Hemisphere Affairs and played a key role in brokering the normalization of relations with Cuba. Mr. Zuniga was introduced by one of our resident’s Edward Tang, who interned under Mr. Zuniga last fall. Mr. Zuniga took the time to go around the room to introduce himself to each person, as he wanted to learn why each of us was in DC and where we all called home. He then discussed his career in the foreign service, where he described living in multiple countries over the years and being able to work with people from various backgrounds. Mr. Zuniga also regaled us with many tales from his experiences. An amusing anecdote was that his coldest winter was in Madrid, because he had spent the prior years living in the Caribbean. Another fun fact is regarding U.S. policies with Cuba changing under the Obama administration and how religion continues to play an important role in the world. Mr. Zuniga said that the Pope became the intermediary because of the assumptions that the U.S. might lie to Cuba and Cuba might lie to the U.S., but neither would lie to the Pope. He ended his talk by giving us an idea of life as a civil servant working in Foreign Service, and that if you like adapting to new environments and traveling, the Foreign Service is a career path that you should seriously consider. Mr. Zuniga was a very personable speaker who generously gave his time and stayed after his speech to answer everyone’s questions and talk with residents. This is especially kind considering that it was snowy outside and every minute he stayed his commute was becoming harder and more treacherous. The variety of roles held by students and their commitment to bringing speakers to ISH-DC is one of the things that makes living here an incredible experience.